Landers Home Cleaning Services is a privately owned small business based in Baltimore City. 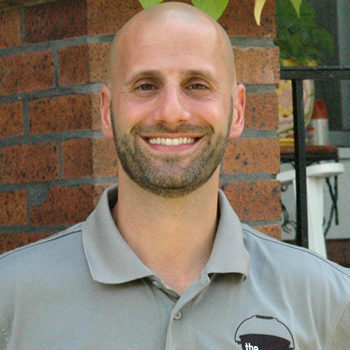 Owner and operator Eric Landers is a former United States Marine, current husband, and a loving Father of two adorable and entertaining little boys. Landers Cleaning Company has been cleaning homes in Baltimore City and the surrounding counties for more than 10 years. In the past two years alone, we have successfully grown our client base by more than 50%, mostly based on client referrals alone. What a compliment! Our goal at Landers Cleaning Services is to make our clients happy by walking into an exceptionally clean home at the end of a long day. All of our employees are personable and flexible. We want to get to know you and your needs so that we can exceed your expectations each and every time we clean your home. If you are tired of cleaning up after your current house cleaning company or just ready to retire your mop, give us a call to schedule your Personal House Cleaning Consultation. The consultation is completely free, with no obligation to you. I have been professionally cleaning houses since I was in high school. When my mother hired a house cleaning company and wasn’t satisfied with the job they were doing, I told her that I could do it better. She liked the job I did so much that she told friends and family and I had a small little house cleaning business before graduating from high school. Shortly after that I joined the Marine Corps, where there was definitely no lack of discipline about cleaning standards during my five years of service. After the Marine Corps, while I was in college and working part-time, I decided that I would start a formal house cleaning company since I was in school for Business. For two years I operated ESL Cleaning Service. When I graduated with a BS in Business with a concentration in Finance I was hired as a sales rep for a pharmaceutical company where I worked for three years. After that venture, I decided to come back to what I love and that is house cleaning, so I started Landers Cleaning Service. I started this company because I have a passion for cleaning and now I get to share that passion through the training and leadership of my professional cleaning teams. “If it’s not done right, it’s not done.” Those are words we live by. We know that letting someone into your home to clean is not a decision to be taken lightly. We hope you’ll take a moment to get to know us, and see why so many Baltimore homeowners choose Landers Cleaning Services. When it comes time to hire a house cleaning company, there are several questions to ask each company. Price alone should not be the determining factor. Visit our FAQs page for some commonly asked questions.